Just under 4000 ballots were sent out last time, just under 9000 were sent out this time. At a glance it looks like the number of votes is virtually the same, however - Michael Rock has in fact been elected Chairman with exactly the same number of votes as Mark Clarke was! This halving of turnout despite there being a massively long election campaign might suggest that the additional votes sent out went largely to people who aren't active members but are merely members of CF age. Congratulations to Michael Rock and the successful NME candidates on their election. It was a long and hard-fought campaign, so commiserations to those that didn't make it in the end. I look forward to CF moving out of campaign mode and onwards and upwards into a successful year ahead. 1. The results will be delayed by a day because the ERS, the organisation contracted to manage the elections, has requested more time. The count will now be on Tuesday afternoon instead of Monday evening. At least one candidate is out-of-pocket with their pre-booked train tickets but there's presumably not much that could have done about the unforeseen delay. An evening count on Tuesday would suit the "young professional" candidates that the Party is so keen to attract, however. "Leaked emails show 24-year-old Ms Hilley, who wants to become a Tory MP, was secretly urged to stand for election – and was given a signal that the Tory leader approved. Last night Ms Hilley told The Mail on Sunday she was approached about standing for the post – while the Tories claimed she approached them." "In the wake of the row, Tory chiefs received a formal complaint over officials' meddling. The party's ruling board carried out a probe and gave Mr Lunn a "mild rebuke". Mr Lunn did not return calls from this newspaper." So if anyone was in any doubt about the story, Clare Hilley's corroboration and CCHQ's rebuke of Michael Lunn should assuage it. It should be noted that Hilley believes it has been blown out of proportion and has absolutely no reason to lie about it. It therefore doesn't reflect well on Michael Lunn and the CCHQ spokesman that they have been saying that she was the one who did the approaching, indeed it is just one more reason for rational people who haven't access to the story's sources to smell a rat. It's such a shame it came to this. 3. Just to be clear, this issue is about trust as much as fairness. It's this absence of trust between the membership and the administrative element of CF that has led Chairman candidate Matthew Richardson to ask the Returning Officer if Mark Clarke may be present at key stages of the ballot verification process. As Chairman there are no data protection issues with this and he could potentially spot any glaring inconsistencies in the electoral roll that was submitted to the ERS. The Returning Officer has however denied Clarke access to those stages. There may well be no evidence of foul play but why stop Clarke, the elected Chairman of the organisation, seeking to verify that? The stories keep rolling in about the distribution of ballot papers. A number of people are still waiting for ballot papers to arrive, apparently including the whole of Nottingham CF, and a number of people have had two of them. "We have removed some 3500 duplications where by there is a similar name, but I have learnt today that where a name has an incomplete address or postcode then an extra ballot may have been issued by ERS. This is extremely disappointing. The main thing is that ERS picks up on any additional duplications when they are returned." Lunn also said yesterday that there had been a 24hr delay in sending out the ballots. They were supposed to be sent out on Monday 11th and voters have two weeks until the deadline for sending them back, March 3rd. If you are having problems ring the helpline on 0208 889 9203. Not only, by all accounts, have ballot papers been sent at least a week late but voters are required to sign their names on the ballot paper. It also seems that accompanying instructions on how to vote are actually from last year and therefore don't help people with the new setup. Secret ballots are a standard feature in Western democratic elections. Anyone with experience in youth politics, and politics in general for that matter, knows how much chaos would be caused by somebody finding out who voted for whom. 10.45am update: An urgent meeting in CCHQ today was assured that the part of the ballot papers that have the voters' names on will be guillotined off before going to the count. Chairman candidate Michael Rock explains his motivations as part of this year's Why am I standing series. We have to be honest: Conservative Future is an under-performing, dysfunctional organisation. We don't have enough members, we don't communicate effectively, internally or externally, and we are not even remotely influential in mainstream politics. We are letting down the current membership, letting down our Party and, by default, our Country. This is not hyperbole: we can and should be making a positive impact and contribution to national politics. I am lucky enough to remember some of the Thatcher years from personal memory, unlucky to remember much of the early 90's politics, and bitterly disappointed at having spent all but six months of my adult life with the Conservatives in opposition. Having voted in and the lost the last three general elections, I'm sick and tired of merely arguing how much better life would be under the Conservatives: I want to be an active participant in returning the Conservatives to Government. I wasn't born into the Conservative Party, I chose it. I've always been proud of the improvements that our Party delivered for the country in the 80's, always been proud to promote the idea that we can be a Government which is for the people and of the people. There is no better way of promoting these achievements and aims than re-establishing the youth movement of the Conservative Party as a significant force in modern politics. A number of the candidates for both the post of Conservative Future National Chairman and the National Executive took part in a hustings event at Westfield Park, the Bristol Conservatives headquarters, on the 27th January. Chairman candidates Matthew Richardson, Michael Rock and Daryl Williams were present alongside National Executive hopefuls Steve Ricketts, Owen Meredith, Matt Lewis, Anastasia Beaumont-Bott, Christian May and Patrick Sullivan, while Anne-Marie Bray provided a written statement in her absence. There seem to be rumours about rumours of new people throwing their hats into the ring for NME or Chairman. The more the merrier. I've updated the list of Area Chairman candidates with a few who don't have websites (those that do are indicated with an asterisk). There must be a lot more than the nine listed though... surely? Nick Webb's CF elections poll (see his sidebar) has been getting some attention but I've been reluctant to plug it because, as he says so himself, it isn't very scientific. Like many online polls it can be rigged by deleting cookies. Mike Rouse is experimenting with a more rigorous poll that involves tokens tied to individual email addresses. He'll run a few polls, including ones before and after the hustings. If you can commit to voting in them all you have one week from now to register via the form on his blog. Today is officially the day when Nominations for the Conservative Future Elections open. Below are the necessary forms for nominations. The Electoral Reform Services will be managing the ballot papers, and also the count. ERS will be conducting the Count on Monday 3rd March at their offices The Election Centre, 33 Clarendon Road, London, N8 ONW. Candidates will be welcome to attend the Count with one guest, and further details will be sent to Candidates nearer the time. To ensure fair play, the CF electoral roll will be audited 3 times to check for any irregularities, duplications of names etc. Any irregularities will be investigated. "Throughout the Conservative Future election campaign you will have the opportunity to hear from candidates in various hustings events. In addition to this you can meet our Chairman candidate, Matt Richardson, touring the country to talk about the Forward Together platform whilst also enjoying some good meaty nourishment." "Today I have launched “A vision that lasts” which sets out how, if elected National Chairman, I will change our approach from short term and quick fix solutions to developing a long term approach to youth politics. My vision is to train and develop members for tomorrow’s challenges and hand over a legacy that future National Executives can build upon. I believe many of our best talent leave the organisation prematurely to move on to take up new opportunities. We lose valuable knowledge and experience and new CF Area and Branch Chairman often take up their positions without any handover from their predecessors. We need to change the culture of our organisation so instead of working to one or two year terms, we are thinking further ahead. This will include encouraging members from the older age bracket to stay involved and help train new members, helping create a more professional organisation. 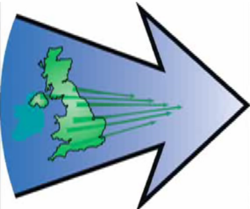 The attached document outlines how I will create a long term vision for our organisation, raising expectations, devolving power, improving communications and strengthening our relationship within the Party and with partner organisations." New ideas include the good one of having a Youth Convention that gets together CF, CFS and all the centre-right organisations that work with young people, and an evaluation of CF's relationship with both the National Convention and the NUS. Thomas Wales of Conservative Future for Britain has decided that it will no longer be endorsing candidates at the CF election. "It is with a great deal of excitement an a twinge of trepidation that I announce a change in the role of CF4B in the upcoming elections. As a founder of A Conservative Future for Britain I have been quite surprised, and very pleased at the quality and range of candidates that have announced their candidacy thus far. CF4B was formed to support candidates who aimed to increase the regional representation within CF. It has been great to see candidates from all over the country come out with similar aims to this. We can measure this a great success of CF4B and the force of numbers in this facebook group thus far. After Richard Lowe pulled out of the CF NME race over the weekend, due to commitments in local politics and Post-Graduate work, I realised that this was a turning point for CF4B. We could either go ahead and support more candidates, of which a couple of people are very interested in our support, or ditch the idea of a 'slate' of candidates. I have been very wary of ‘full slate’ politics from the beginning of this campaign and I now feel it is a good time for CF4B to avoid this policy. 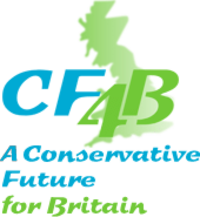 Although I am personally still fully behind all four (now 3) candidates we have backed I have decided to change the role of CF4B to one which will help the CF electorate make up their own minds who is best to represent the interests of CF nationally. We do not wish to be in a position where CF4B recommends only a small number of CF candidates when there are many worthy of being elected. Therefore, from now on CF4B will become a forum for all CF members to discuss the merits of different candidates and for people to make up their own mind. CF4B will no longer back any particular candidates. Our primary aim will be to improve communication across the country during this year's elections. To join the forum go to the CF4B blog or join directly via http://cf4b.forumotion.com/index.htm"
Click here to read my introduction to and verdict of CF4B when it launched in the summer. In recent years there have on occasion been strong allegations of electoral fraud as the CF National Organiser would do most of the sending out and collecting in of ballot papers, and no-one would know if they used that responsibility to favour a certain candidate. This year there won't be any grounds for grievance however as Electoral Reform Services, which has contracts with all the major UK political parties, is going to run the elections. This means that no-one in the CF exec or in CCHQ will have access to the electoral roll. This professionalism is very welcome indeed. Nominations open in just under a month. Michael Rock launches "Manifesto of Principles"
"I have now launched my 'Manifesto of Principles' and my official campaign to be the next National Chairman of Conservative Future. I make no apologies that my Manifesto of Principles is an expansive document. In it I share my views on Conservative Future, where I feel the organisation is now and where it should be going. On the discussion boards in my Facebook group you can comment, and ask questions, about my Manifesto of Principles. I hope that this document brings a different perspective to this election: I believe an open, fair and lengthy debate will strengthen CF and put our organisation in good stead for the future. I hope it provides some food for thought. My business plan, which will be published in January, will set out, in detail, exactly how and when I expect to implement these solutions. I genuinely want people to enjoy their membership of CF and, in particular, this election campaign. I want people to join CF because they want to spend time with like-minded people, at enjoyable events and I want everyone to associate us with the positive, progressive aspects of politics. Let's not add to the disillusion that is becoming increasingly prevalent in society: let's focus on getting young people engaged at all stages of the political process! We need to change CF. Not just the brand but the size, the range of personalities, views and aspirations. We used to be a significant political force; I believe we can be again. The Conservative Party is on the up, this Labour Government is ripe for a beating. I'm frustrated that we are not further ahead in the polls, that we don't have more members and we are not reaching out to a much wider audience. CF can help change the political landscape. I am running for National Chair of Conservative Future because I believe the Conservative Party can form the next Government and I know CF can play an influential role in the next General Election. I believe the Conservative Party is the only party that can address the challenges our country face and I know CF can help in that process. Finally, I believe I am the best candidate to lead CF through the necessary changes and I know we can make CF bigger, bolder and better." Michael has also announced that his team will offer a free website to any CF branch that wants one. Click here for a prototype, and here to email them about it. Eight cash-starved branches have already taken them up on the offer since the weekend. Another thing worth checking out is the Facebook group dedicated to finding a slogan for the Rock campaign! With there still being a three months left I've slowed down election coverage in the last month so we don't get election fatigue too quickly! Things will get going more come new year, including an article from (hopefully) all candidates on why they are standing. Good initiative by Shane Greer to get candidates to sign up to a "clean campaign pledge". I expect they all will and I will update the list of signatories accordingly. Not making any direct or indirect personal attacks upon any and all other candidates, slates, campaign groups, their family members, friends, or acquaintances. To show at all times the utmost respect for any and all other candidate's, slates and campaign groups, and as a result to refrain from mockery, the spreading of false rumours, the dissemination of misinformation or confidential information, about these individuals, slates and groups. For the avoidance of doubt mockery would include but would not be limited to the alteration of candidate's, slate's or campaign group's name in an attempt to undermine that individual or group. Not to instruct or through third parties cause to be instructed any individual to carry out any activities which in signing this pledge I myself have pledged not to carry out. Dismissing any individual associated with my campaign who engages in conduct of the kind I myself have pledged not to carry out. Above all else I commit myself to running a campaign centred around issues and to engaging the other candidates, slates and campaign groups in meaningful dialogue and debate. advertise opportunities for campaign management training, media training and internships at home and abroad, of interest to CF members. Good stuff, I hope other candidates will come up with equally detailed proposals rather than the usual vague platitudes. We're now not going to have a new CF national team for almost four months but the current candidates don't seem worried about electioneering fatigue. On the positive side, even if the election period wasn't so long it looks like this would have been the most debated election yet which has got to be healthy for the organisation. Owen Meredith has published the skeleton of his manifesto, which includes putting more emphasis on supporting branches nationwide. Anastasia Beaumont-Bott has written about two of her four policy strands - on communication and activism. Patrick Sullivan has written about using the time we have before the election for a "big conversation" about CF. Its full slate has been announced now with Matt Richardson going for Chairman and Anne-Marie Bray, Christian May, Karen Allen, Craig Cox, Adele Douglas and Charlie Groome going for NME. I've added three Area Chairman candidates to a links list on the right, I hope that will increase to at least ten (who have websites/blogs that is - no excuse not to have one nowadays). The elections are a lot later than expected which is unfortunate as the national team were elected to hold their positions for a shorter than normal period of time rather than a much longer one. The main reason given for this is that there were no staff to organise it until now. There is no planned adjustment to the incoming team's tenure so late winter/early spring will be the CF election period for the foreseeable future. Mark Clarke will remain as Chairman. The Exec members will also stay on if they wish to as will Area Chairmen although some of them have resigned recently. Click here to make an application to a national position, and here for an area position. Important note: Only those of you who have been members for over three months before close of nominations can vote in the election, so that means you have to join or renew your membership of the Party today or tomorrow to be eligible! Matthew Richardson, NME member and author of those monthly reports, officially confirmed his candidacy for Chairman during the YBF conference last weekend. He's got a slate together called Forward Together. That's what the video was about. It was a good tease (a few hundred people watched via YouTube, and thousands on MessageSpace blogs) and a clever way to get people talking, although including a url or something would have been a good idea! Those we weren't at the conference were left wondering what it was all about. Starting from today a new member of his slate will be announced on the website each day this week. Anne-Marie Bray, CF Area Chairman of Worcestershire & Warwickshire, is the first person to be listed. Her personal website goes live in a few hours from the time of writing. It's not clear what the principles holding the slate together are at this stage - the video just mentioned the NME needing a "proven track record", from "more than one region", and taking CF in the "right direction" - but a new policy will be announced each day of next week. Matt joins Daryl Williams, who launched his campaign on CF Diary last week, and Michael Rock in the race for the Chairmanship. No news from CF4B yet about their plans. Of course, this is all happening without an election date being confirmed - Nick Webb thinks it would be best to leave it all until February now. I am writing to you as I wish to make my announcement on ConservativeHome that I intend to put myself forward as a candidate for National Chairman of Conservative Future. ConservativeHome is a website I visit daily and it is a site that has established itself as an indispensable guide to the daily world of politics. As you know I believe strongly in democracy and ConservativeHome has provided many activists in the Conservative Party a stronger voice, making politics more accessible, and accountable. This is why I decided to make my announcement here first. A timetable for elections have yet to be published but I feel that it is important to come forward now so I can engage with the membership of CF. These elections are not about the candidates but about the people we seek to serve. I want to know the vision of our members as well as outlining my own. Please find my five pledges to the members of Conservative Future that will be central to my campaign. 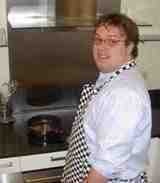 Daryl has a very comprehensive website which has now gone live. It lists his activities and also quite refreshingly goes into frank detail about why he is involved in politics. I will hold monthly meetings of the CF National Management Executive and each meeting will be held in a different region of England and Wales. The National Executive will visit all regions, from the North East to the South West and Wales. At various events across our nation will be time allotted for NME Q&A sessions. I will give CF members the opportunity to question me as Chairman and the National Team. You will have the power to hold us to account and ensure we are delivering on our commitments to you. A clear campaign strategy delivered through Campaign Committees. Campaign days must follow a clear strategy that helps us win seats. Activists will be empowered through regional campaign committees. I will work with Campaign Headquarters to agree a CF marginal seat strategy. The strategy will be delivered through the committees ensuring our members are working with campaign directors, supporting the party’s aims and maintaining a good network of communication. We must move away from the belief we can do everything from the centre. I will work with well established organisations and think tanks to ensure we are offering members new training opportunities and to discuss policy. I want to create a CF Training College that provides nation-wide events and seeks to support young councillors, aspiring candidates, activists, CF Branch and Area Chairman. Youth politics is somewhere for young activists to cut their teeth and I want to help prepare you for the future. The date is still to be announced but the elections for this year's CF Chairman and National Exec members will be soon. Some wannabe national CF representatives have already been running soft campaigns for a long time, more so than usual because the last term was supposed to finish around June. CF Election Speculation – Isn’t It A Bit Early For All That Jazz? John Moorcraft writes a weekly article putting current young Conservative issues into a historical context. First and foremost, I would like to thank Matthew Sinclair for taking the trouble to respond so eloquently to some of the issues raised in my previous article considering whether it is time to bring back a separate organisation for conservative students. His article made for interesting reading and his concluding paragraph in particular was one I found myself agreeing with strongly. It is, in my opinion anyway, imperative that young conservatives reflect upon what exactly conservatism means and should mean and I for one agree wholeheartedly with Mr Sinclair when he urges us all to be thoughtful conservatives. In my previous article, I indicated I would this week be putting the case for keeping the one size fits all organisational structure of Conservative Future. However, in a move that would make Labour Party spin doctors proud, I wish to sweep that particular statement under the carpet for the moment and instead reflect upon some of the speculation I have had the pleasure/misfortune (I remain undecided on which it actually is) of being subjected to over the last few months regarding the next round of Conservative Future elections. "I'd like to start by thanking my opponent Caroline Hunt - who finished a good second - for fighting a clean and honourable campaign. I wish her the best of luck for the future and hope that CF will be able to continue to benefit from her expertise. I'd also like to thank my campaign manager - Alex Williams - and the rest of my team who have all worked so hard over the last few weeks and months. Obviously I'm very pleased with the result and am very happy with the NME team I am delighted to be a part of. This is a good day for the Conservative Party and for Conservative Future. CF now has a challenge to get itself in shape ready to help David Cameron into Downing Street at the next election by winning in those marginal seats. I'm looking forward to that challenge." This is a fresh Exec - with Claire Palmer being the only former member to be re-elected. Chris Wales (Exec - unintended candidacy), Rodrigo Sanchez (London NW - unforeseen circumstances) and Andrew Young (Chairman - undisclosed) had expressed their wish to withdraw from the race at various points before results night. Turnout is up on last year. It was a tense evening, particularly with the Exec recounts! The London hustings for Conservative Future’s national elections were, to say the least, a raucous affair which affirmed that ancient piece of conservative wisdom - one cannot change society through governmental or technocratic mechanisms. When Conservative Future was set up in 1998, it was intended to be a clean break with the sordid history of a shamed Young Conservatives movement. In reality, just the same sort of problems affect CF as did the YCs, as amply demonstrated by the high proportion of hustings attendees who clearly had no interest in the serious political nature of the event and were rather more interested in shouting out typically ‘Oxford‘ ‘rah-ish’ remarks such as ‘shame’. This even lead one audience-member asking whether CF had already ‘run its course’. The answer, despite being a definitive ‘no’, did nevertheless iterate real underlying concerns about the sustainability and effectiveness of CF.